Wilson’s Jewelry a family-owned business was established with hard work and late nights. 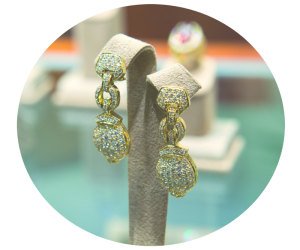 We pride ourselves into bringing old world ethics and craftsmanship combining it with new world technologies to create the highest quality jewelry to its retail and wholesale customers. VISION: To become the best source for all your jewelry needs. Always creating new magnificent designs and staying on the cutting edge of the latest fashions and trends. QUALITY: We strive for the satisfaction of product quality and offer a lifetime guarantee on our workmanship. Our team of jewelers, diamond setter and polishers are all experienced and trained to the highest levels with at least 5 years hands-on experience.